Working together is essential when it comes to global problems like climate change. The best solutions are found by building links, sharing experiences and exchanging ideas between nations. The Caribbean community and Australia have teamed up to focus on some of the key climate change challenges for the region. Bringing together experts and decision makers in applied research, management and policy, the program will rely upon a network of Caribbean organisations, national governments and international experts that will use and promote the work to policymakers and potential funders. The Caribbean Community Climate Change Centre, the central source of information on the Caribbean’s response to managing and adapting to climate change, will help put plans into action. Actively involved in regional on-the ground activities, the 5Cs provide regional knowledge, networking and coordination and help to implement collaboration activities. The Great Barrier Reef Marine Park Authority will share Australian experiences and expertise. It will work with regional partners to create ways of managing marine resources that acknowledge the changing conditions, such as extreme weather events and shifting climates. Regional partners are also joining forces with us on our Regional Plan of Action and collaborative projects in an effort to help 'climate-proof' regional development by improving the resilience of coral reefs and reef-dependent people. View all of our partner profiles here. The Belize Coastal Zone Management Authority & Institute is teaming up with us to look at offsets as a way of protecting biodiversity in a changing climate, using Belize as a case study. 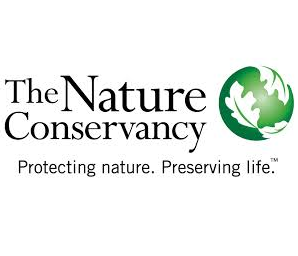 The project will help Caribbean governments, corporations and stakeholders to identify, implement and assess ways to ensure development activities result in no net loss of biodiversity. The Fisheries Division of the Government of Grenada will develop a reef stewardship program and resources to help managers increase public participation in and support for coral reef management. Building on experiences from Australia and elsewhere, a program framework, planning tools and resources will be developed for use in stewardship programs in the Caribbean. Australia’s CSIRO will help coral reef managers to better understand resource dependency and create reef management programs that consider social and economic factors. The project will assist Caribbean stakeholders to design, manage and utilise social impact and vulnerability assessments. The Soufriere Marine Management Association in conjunction with the Piton Management Authority of St Lucia are developing an Outlook Report for the marine system of the Soufriere area to support integrated coastal management. Building on the experience with outlook reporting from the Great Barrier Reef, this project will also prepare guidance and tools to assist other Caribbean nations utilise outlook reporting to integrate climate change into strategic planning and management of coral reefs. The Toledo Institute for Development and Environment (TIDE) is one of the leading conservation NGOs in Belize, on the Caribbean coast of Central America is home to the Belize Barrier Reef. TIDE is working with the Collaboration to share successes and promote reef stewardship in the Caribbean coral reef community. 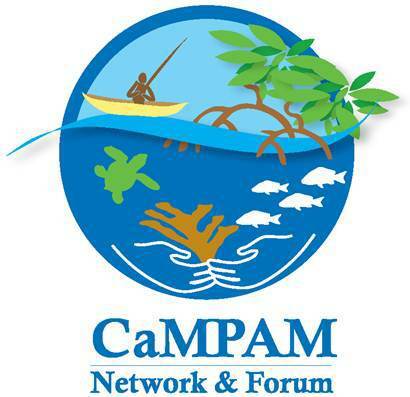 The Caribbean Marine Protected Areas Managers Network and Forum (CaMPAM) is a social network for enhancing the effectiveness of marine protected areas (MPAs) in the Wider Caribbean. It's mission is to build the capacity of marine protected area managers, practitioners and fishers in the Wider Caribbean to promote the application of best marine management practices for the transboundary coordination of ecologically-connected areas. CaMPAM is working with the Collaboration to share successes and promoting tools for reef management in the Caribbean coral reef community. The Healthy Reefs for Healthy People Initiative is an international, multi-institutional effort that tracks the health of the Meso-American Reef and the watersheds that drain into the Caribbean, the human choices that shape it and our progress in ensuring its long-term integrity. Healthy Reefs for Healthy People is working with the Collaboration develop and promote tools for reef management in the Caribbean coral reef community. The Centre for Resource Management and Environmental Studies (CERMES), established in 1985 at the University of the West Indies, is making a significant contribution to sustainable development in the Caribbean region. With a focus on coastal and marine resource management, climate change and water resources, they specialise in training, research, high-level guidance and coordinating regional environmental initiatives and projects. CERMES has been working with the Collaboration develop and promote tools for reef management in the Caribbean community. The CARIBSAVE partnership (CARIBSAVE) is a Not-For-Profit regional organization based in the Caribbean with its Headquarters in Barbados. CARIBSAVE works with stakeholders to address the impacts and challenges surrounding climate change, the environment, economic development and community livelihoods across the Caribbean Basin, using an integrated and holistic approach. The Force Project is an integrated research project which takes an ecosystem approach, linking social and ecological aspects towards managing Caribbean coral reefs in the face of climate change. SEA Belize is a Belizean-based non-governmental organisation dedicated to conservation and preservation of the country's natural treasures. Their National office is located in the Placencia Village, and their Toledo District office is in Punta Gorda.